For those looking for a blind that stops all light from entering the window, our tight-fitting blackout blinds are the perfect solution, and are available in a number of stylish designs. 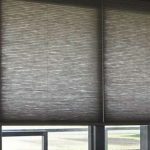 Humberside Sunblinds offer a range of made-to-measure blackout blinds, all at cheap rates and with free installation by our friendly and experienced staff. With over 34 years of experience in the industry, Humberside Sunblinds have the necessary skills and facilities to manufacture your bespoke blind, delivering it directly to you within 10 days, and saving you money by cutting out the middleman. Our well-stocked Immingham showroom, the largest in the region, is perfectly placed to serve the whole of Grimsby, Cleethorpes and the wider Lincolnshire and Humberside areas, and displays our entire blackout blind range, available in roller, Roman or vertical designs.